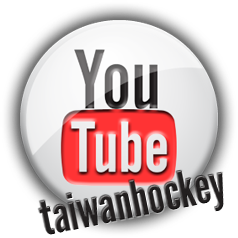 The Chinese Taipei Ice Hockey Federation promotes the fundamental philosophy that skill development is necessary in establishing a successful program. The CTIHF also recognizes that skill development should be fun and challenging and at the same time provide opportunities for all youth and adult hockey players. CTIHF has developed an objective selection method to be utilized in selecting its hockey teams in a fair and impartial manner, and at the same time encourage skill development. The selection criteria are based off of the Canadian Player Development Model which incorporates the Canadian Skills Test as a method of measuring and evaluating skill development and the SportTesting Standard Combine. 1) To provide a fair and impartial assessment of a player’s total hockey skills. 2) To ensure that players have a reasonable opportunity of being selected to a team appropriate to their skill level as determined by the overall assessment method. 3) To provide the coaches an opportunity to select teams based on knowledge of each player’s skill and attitude. 4) To provide clarity and uniformity in the evaluation process so that players and parents are clear on the objectives and expectations. 5) To form teams to maintain balanced and competitive play where the athletes can develop and participate equitably and have fun playing hockey during the season. 6) To provide feedback in order to develop players.